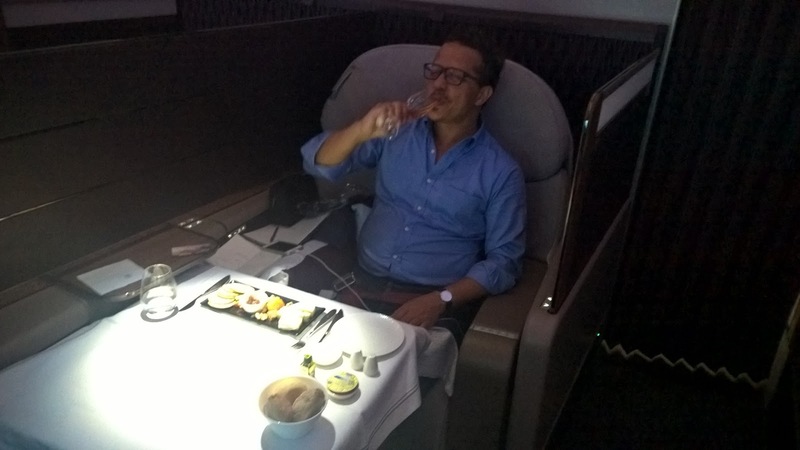 There are those things we aspire to in life and the luxury of first class travel will be on many mortals’ bucket list. It is an almost hallowed space on the plane, separated by that dreaded curtain, and in today’s changing flying climate, it is even more sought after as airlines cut down on first class routes. For those who love champagne, it might be a fabled label that has attained almost mythical status in your life as one to be enjoyed. 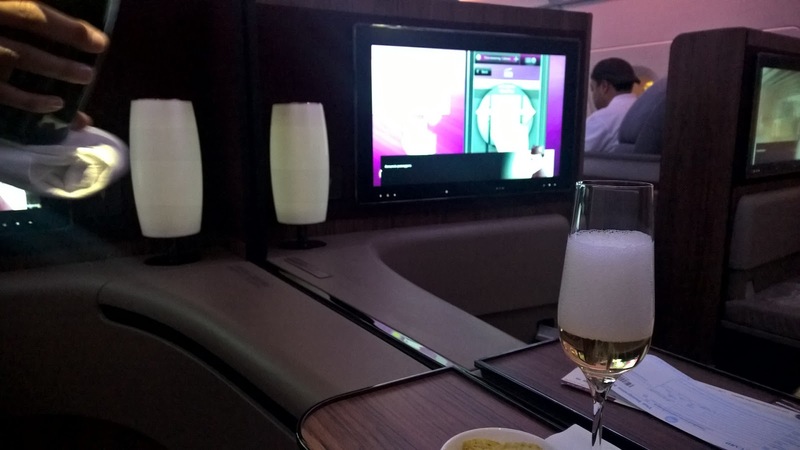 Now bring together first class travel and champagne on one of the world’s finest airlines, and you have something pretty special. 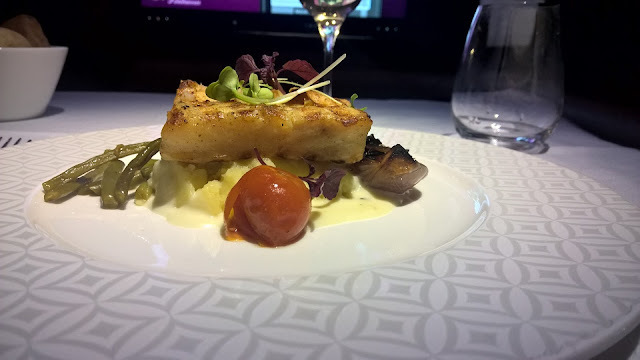 My recent flight on Qatar Airways’ ultra luxurious A380 in First Class to Bangkok showed that bucket lists are there to be realized. 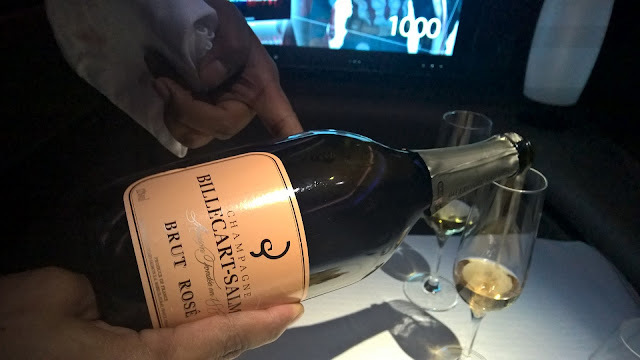 More than that, it allowed me to have some of the best champagnes available in the sky right now. The cabin is indeed luxurious, but it is understated, calming and soothing on the eyes. There is none of the bling that is often associated with airlines in the region. Amenities are functional, meaning space is maximized. 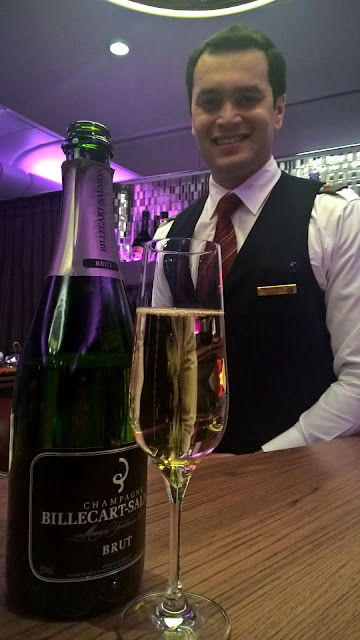 It is important that the champagne on board should match the philosophy created by the First class cabin. It would be too obvious to go for a vintage champagne of sorts– how often don’t people associate a vintage with luxury? No, instead, the Qatar Airways has chosen what is widely regarded as one of the best champagnes in the world, the Krug Grand Cuvee Brut. But to ensure that the full first class cabin of 8 have another option, they have also included the Billecart-Salmon Brut Rosé. Now that is not a bad way to spend an evening at 40 000 feet surely? On boarding, I am greeted by the well-spoken first class cabin staff – well trained, polite but neither stiff nor obsequious. Shortly after being seated, the Krug is presented. I love the respect that it is shown. Ceremony matters. 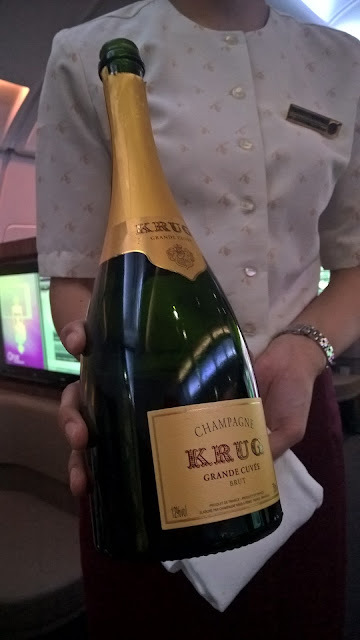 Sahiba, one of the cabin attendants, offers to let me have a taste first and I jokingly say to her, ‘It’s Krug. How can it not be good?’ I am entranced. 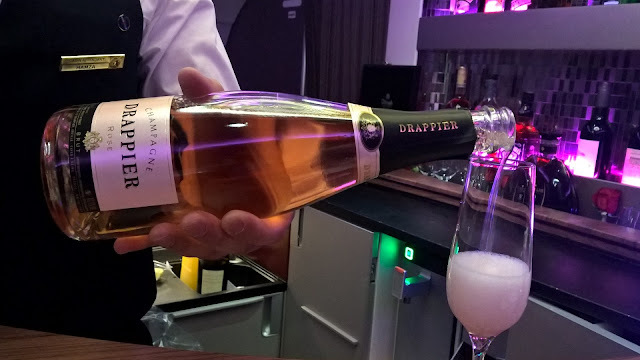 You know, the moment when champagne is poured and the colour and bubbles are so visually intoxicating that time seems to stand still? That is the moment, but I break out of it. With the cabin fully lit for pre-departure for this night time flight, I am grateful that I can see the Krug’s colour as it is meant to be. 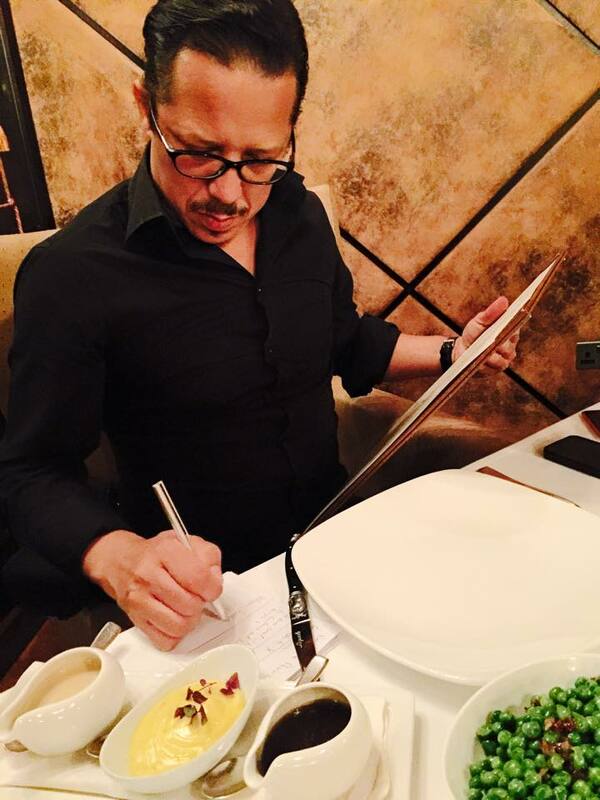 It has a really deep golden colour with clear, beautifully structured, fine and energetic bubbles. Perfection! 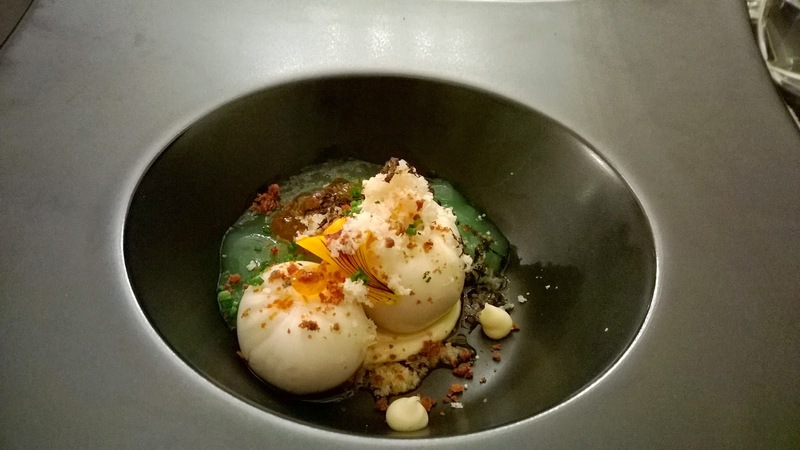 Toast, brioche, citrus and honey create something that transcends the word ‘special’. 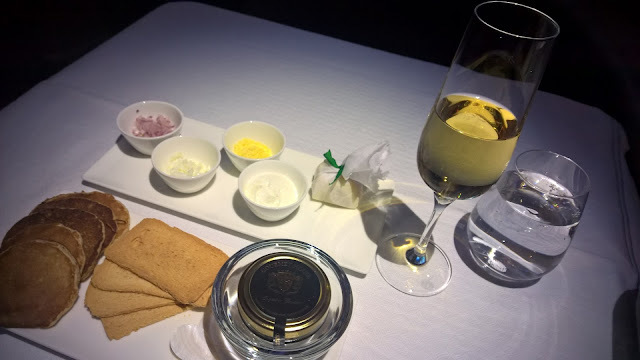 The taste is very long, allowing me to savour the Krug longer than most, while the persistent mousse simply adds to the sense of, what is that word, ‘perfection’, for those like myself who are nowhere close to being an aficionado. The nose is intense and complex, no doubt a result of the fact that every Krug is a blend of more than 120 wines spanning 10 different vintages. Furthermore, it usually waits another 6 years in the bottle. This explains, at least on one level, why the Krug NV is so expensive, on par with some leading vintage labels. 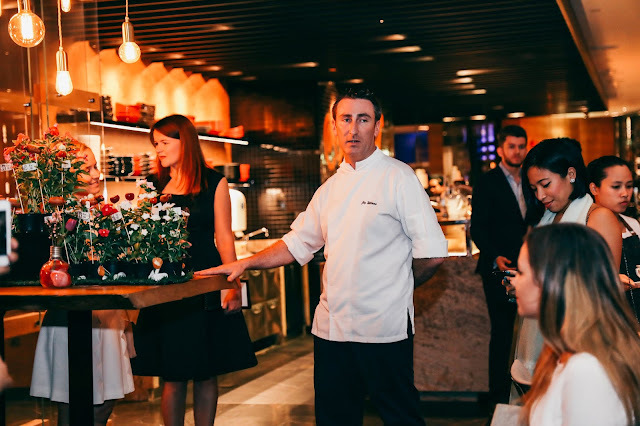 You can read the entire article in Glass of Bubbly at Subscribe It is available as print or for download on iOS or android. 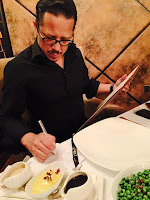 Brandon Stoltenkamp is a food writer based in Abu Dhabi and a principle writer with Glass of Bubbly, the world's leading sparkling wine magazine.